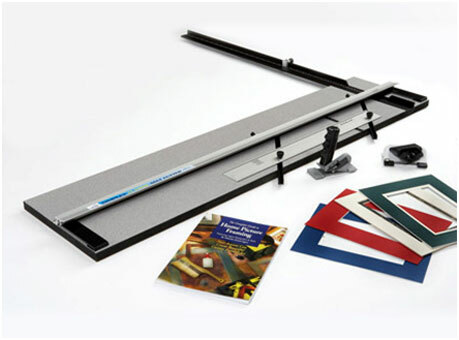 A full featured artist’s level mat cutter with an economy price. The Simplex Classic series is the all-purpose mat cutting tool used by thousands of artists worldwide. The Simplex Classic Mat cutter is a base board mounted mat cutter 40″ (101cm). It features a hinging guide rail with production stops, parallel mat guide in aluminum channels, 22″ (54cm) squaring arm with stop, bevel and straight cutting, and instruction manual.